These can be ordered by contacting the originators directly. If in doubt drop John Saxon and Email at jsaxon@pcug.org.au All prices are in NZ dollars except where noted, postage may not be included. 19 July 1852 to 2 January 1853. "The Captain's Diary" was a best seller in 2002 and we had to have 2 reprints done. The version we are offering for 2007 is being professionally printed - as are most things - It has had input from members of the extended Horneman family to make it more accurate; to make it self-explanatory to modern readers, so there are footnotes, and sketches done by the Captain, as well as lists of seeds they brought with them, etc.. Think of the one you bought in 2002, this is better value for money, and will take pride of place on your bookshelf for many years to come. Copies of handwritten notes from Horneman Bible - Vol. 4, by F.E. Horneman, recording his family history and births of his children. And from Lola McCormack (nee Saxon). "Referring to the Horneman Bible we had restored, while it was apart we had copied, handwitten notes of F.E.Horneman detailing his family history as well as the births of his childern. 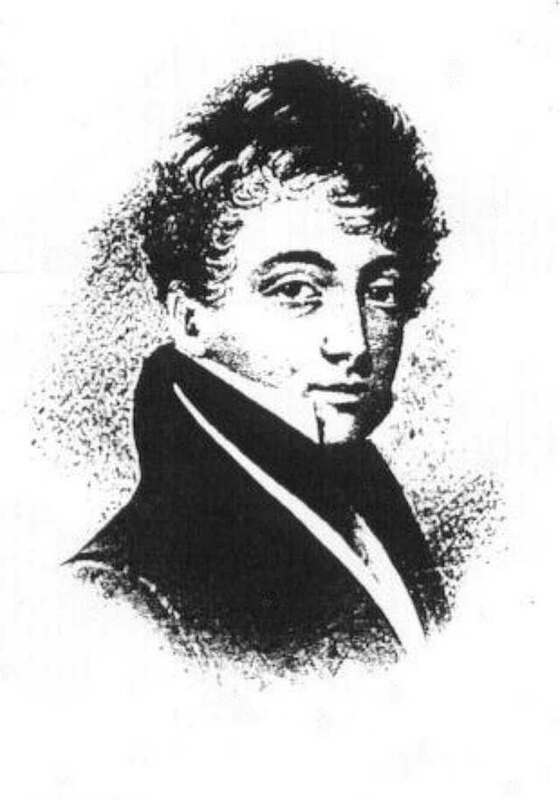 One of his daughters Frederica, married a Knyvett, another married John Saxon Jnr. 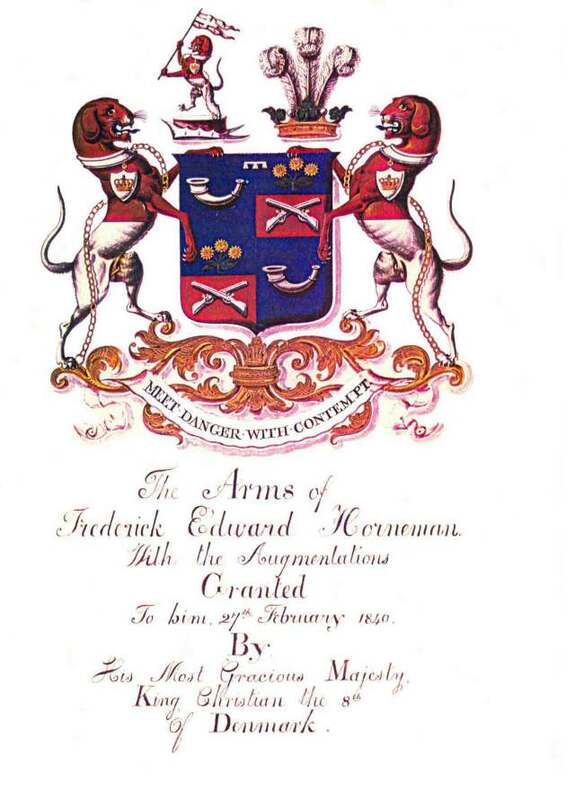 We feel the end product, a spirally bound booklet bearing the Horneman coat-of-arms truly captures the times". Limited edition @ $10 each. For people going to Europe, Oz or NZ it gives details of where to find points of interest to our 3 families - churches, burial places, where homes stood, etc., complete with photos. It will have a spiral spine so the traveller can fold back to the page appropriate to where they are. And it will also have a clear front and a hard back. 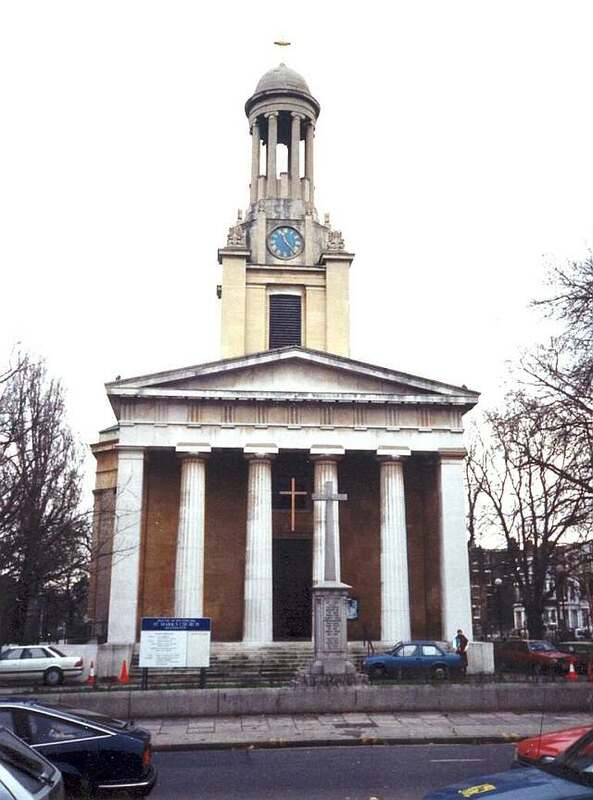 The images are of St Mark's Church, Kennington, London, and the plaque in the interior of this church is for Henry Frederick Horneman. 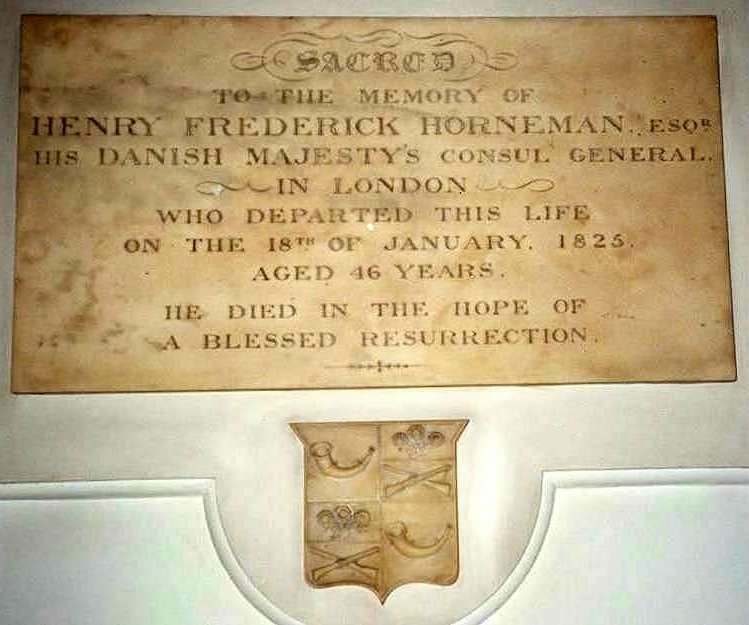 "The very best of Christian Frederik Emil Horneman"
and the "Forgotten Danish Treasures of Johan Ole Emil Horneman"
"The Saxon family tree and more! " A CD for use with your PC or MAC. More than you ever wanted to know. $20 if pre-ordered - AUS $20 if I have to mail after the reunion! $20 at the reunion - please Email Barry if you would like to reserve a copy. If you would like any of the above items - please contact per the individual pages.